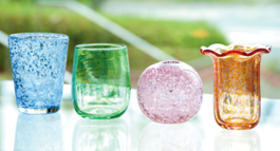 The Hirano Museum displays a collection gathered over two generations by painters and passionate art lovers Soun Hirano and his son Ken Hirano. 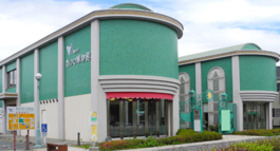 In 1989, the pair opened the museum in Motohama-cho at the center of Hamamatsu-shi, Shizuoka, where they were both born and raised. They collected at least 2000 works, including Japanese paintings, Western paintings, woodblock prints, ceramics, and sculptures. 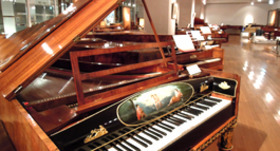 At the museum, the works compiled over so many years by the father and son are gathered under one roof, and shown in five different displays throughout the year. ※There is no permanent exhibit space. Every work is eventually switched out. The collection has a wide range of works from Kamakura period Buddhist images, to more modern artists like Katsushika Hokusai, Utagawa Hiroshige, Yokoyama Taikan, and even modern Western artists like Andy Warhol. 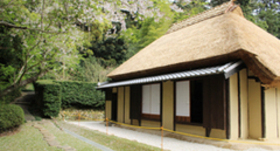 There are also works designated as Important Cultural Properties. 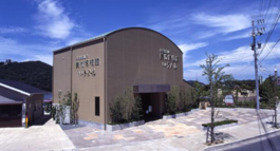 The museum not only displays Japanese paintings, but also has events such as exhibitions of local artists. In addition, the museum maintains activities to stay rooted in the area as a "museum open to the neighborhood" such as actively holding lectures and workshops, proposing ideas for various art shows, and pursuing multiple forms of communication. 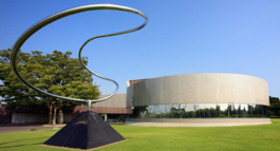 ※Different fees will be charged during major special exhibitions. During the changing of exhibits, New Year, etc.